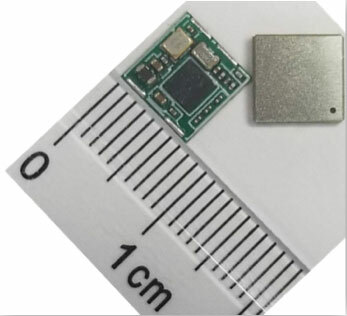 Allystar Technology Co. Ltd. has launched its smallest multi-band multi-GNSS module, the TAU-0707 series. Within its 7.6 x 7.6 millimeter size, the TAU-0707 series module supports major GNSS constellations (GPS / Galileo / GLONASS / BeiDou / QZSS / IRNSS) and all civil bands (L1, L2, L5, L6). As the latest addition to Allystar’s GNSS portfolio, the TAU-0707 series module is a concurrent multi-band multi-GNSS receiver embedded with a cynosure III single-die standalone positioning chipset, which offers multi-frequency measurements to improve positioning accuracy and simplifies integration for third-party applications, said Shi Xian Yang, Allystar marketing manager. Moreover, Allystar also provides the built-in low-noise amplifier in the TAU-1010 series module, which offers the module with improved RF sensitivity and exceptional acquisition and tracking performance even in weak signal areas. With more and more satellites supporting L1/L5 signals, Allystar offers two modules to fully support all civil signals on the L5 band for the standalone market. The TAU1206-0707 and TAU1205-1010 are expected to be better in multipath mitigation mainly due to the higher chipping rate of L5 signals relative to L1 C/A code. L1/L5 band module for standalone market. For professional applications, module TAU1303-0707 comes with built-in support for standard RTCM protocol (MSM), supporting multi-band multi-system high-precision raw data output, including pseudorange, phase range, Doppler, SNR for any kind of third-party integration and application. Module with Raw data output for professional market. Allystar TAU series module offers superior accuracy thanks to the onboard 26-MHz temperature compensated crystal oscillator and a reduced time to first fix relying on its dedicated 32-KHz real-time clock oscillator. Based on 40-nm manufacturing processes of the Cynosure III GNSS chipset, it comes with very low power consumption at less than 40 mA. According to the company, engineering samples and a reference design of the Allystar TAU-0707 and TAU-1010 series module will be available in April.